Go lavish all the way this beautiful Mid-Autumn festival with a gift of opulence and sumptuousness of champagne and mooncakes! Making a grand comeback this year, Veuve Clicquot in collaboration with Grand Imperial Group of Restaurants presents a harmonious union celebration with Veuve Clicquot Champagne and Grand Imperial’s delectable mooncakes. Chong Wai Keng, Brand Ambassador for Moet Hennessy Brands reaffirms that the premium gift set reflects Madame Veuve Clicquot Ponsardin’s innovative spirit of its exquisite champagne with our celestial tradition. With a history of 240 years in champagne making, Veuve Clicquot champagne is the world’s second most popular champagne and is considered by consumers to be the most exclusive and the most prestigious. With a motto of “Only One Quality, The Finest”, Veuve Clicquot champagne is indeed an extraordinary bubbly that is highly prized all over the world. Who would have thought that Maison’s finest champagne – the Brut Yellow Label makes such a gorgeous pairing with our traditional mooncakes? 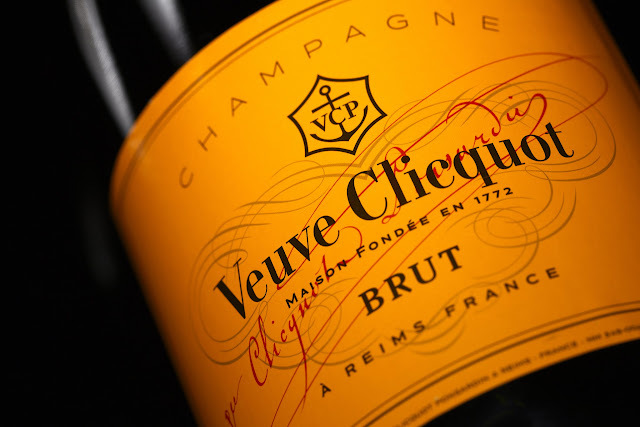 The epitome of the house of Veuve Clicquot, the Veuve Clicquot Brut Yellow Label is well-known for its fresh citrusy notes and subtle aromas of brioche and vanilla. Its bubbly factor together with its elegant bouquet compliments the mooncakes beautifully and heighten the delicate flavours of the mooncakes. Available from 15th August to 27th September 2015, this limited edition Veuve Clicquot Yellow Label and Mooncake Gift Set, priced at RM288 nett, features a bottle of Veuve Clicquot Brut Yellow Label (75 cl) with four delectable mooncakes including Assorted Fruits and Nuts with Chicken Bits, White Lotus Single Yolk, Almond with Sesame White Lotus Paste, and Pandan Lotus Paste Single Yolk. This opulence gold box set of Veuve Clicquot Brut Yellow Label and Grand Imperial Mooncakes makes it the perfect giveaway this Mid-Autumn festival to family, friends and business associates. Limited to only 1000 orders, this exclusive gift set is available at all Grand Imperial Group of Restaurants at RM288 nett. I like this place. I was here the other night, I've been there for about four or five hours and found the prices reasonable on all fronts and the staff to be so friendly. I would be the perfect person to have on an infomercial for venues Chicago if they ever had one.